Screenplay: Oren Moverman, Allessandro Camon. Starring: Ben Foster, Woody Harrelson, Samantha Morton, Jena Malone, Steve Buscemi, Eamonn Walker, Brendan Sexton III. War films tend to show you the brutality of conflict on the battlefield; the blood and the guts; the firepower; the fear and the bravery. Few address the conflict at home, which is quite surprising as the ones that do, tend to be raw and personal stories. This one certainly is. Decorated Iraq war veteran Sgt. Will Montgomery (Ben Foster) is back home and dealing with various ailments. He’s assigned to the Casualty Notification Office, where he and his superior Capt. 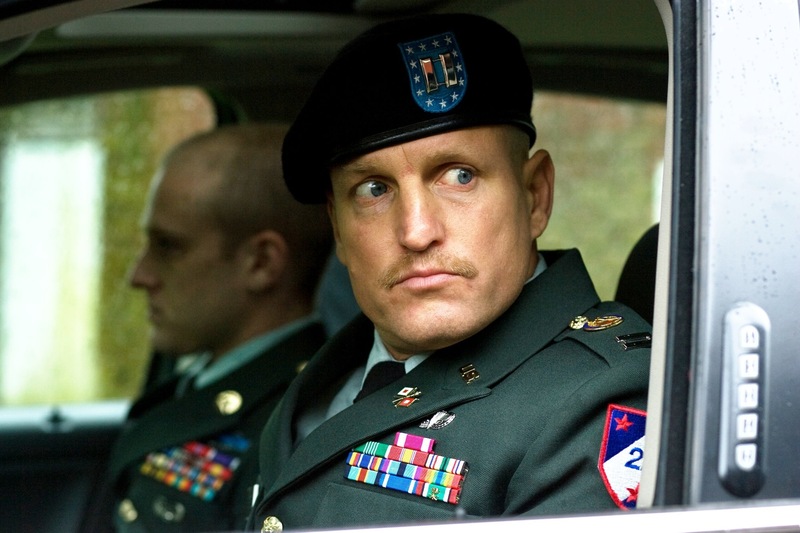 Tony Stone (Woody Harrelson) have the unwelcome task of informing next of kin whenever a soldier dies. A very impressive debut from director Oren Moverman who also co-scripted but also a very bleak and depressing drama, dealing with a part of war that is so often overlooked. Foster and Harrelson (in an oscar nominated role) both deliver intense and solid performances, every time they notify a next of kin, it’s unbearably nerve wracking. Each relative dealing with their grief in different ways. Some with anger and violence, some with devestation, some with remorse, but each one as powerful as the next. As the film progresses, it concentrates less on the job they do and more on their own personal suffering, and as a result, loses momentum. However, when the full extent of their own emotional suffering becomes clear we are treated to a masterclass of acting from Foster and Harrelson in what becomes a very personal moment between them. There are periodic lulls, especially when the film branches off into Foster’s romantic involvements with Samantha Morton and Jena Malone but these lulls are coupled with sporadic moments of brilliance. Ben Foster is steadily building a reputation for himself with his consistant portrayal of tortured souls and Harrelson – although not always a favourite of mine – is really starting to win me over with his shrewd choice of unselfish roles. Stark and hard-hitting but the performances from the two leads and the raw emotional power it posseses make it quite captivating. This entry was posted on February 2, 2012 at 10:02 am and is filed under Drama, War with tags 2009. You can follow any responses to this entry through the RSS 2.0 feed. You can leave a response, or trackback from your own site. Another great review. 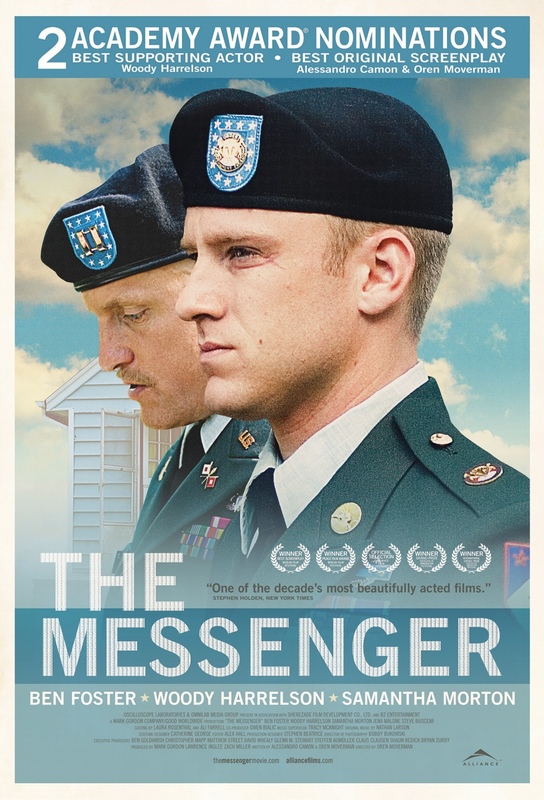 For me, The Messenger is one of the most exquisitely acted movies in recent memory. Foster, Harrelson, Morton and especially Steve Buscemi were all superb. Yeah, I was pleasantly surprised by this film. Powerful stuff and the actors were superb. I’m looking forward to RAMPART now.